The Famous Belgian Waffles is becoming the most favored snack nowadays. The good thing about this snack is that it’s freshly baked and you can choose from various fillings. It is crispy outside, but soft inside. There’s plenty of Famous Belgian Waffles food and snack carts available in places with high traffic such as train stations, malls and even school fairs. People are willing to wait just to taste the different fillings such as ham and cheddar, banana chocolate cream cheese, blueberry, chocolate, hazelnut, and peanut butter. That Belgian waffle recipe will definitely make your day feel great when you taste it. Customers were delighted not only with the pleasant and delicious products, but also its affordable price. How it started Famous Belgian Waffles? 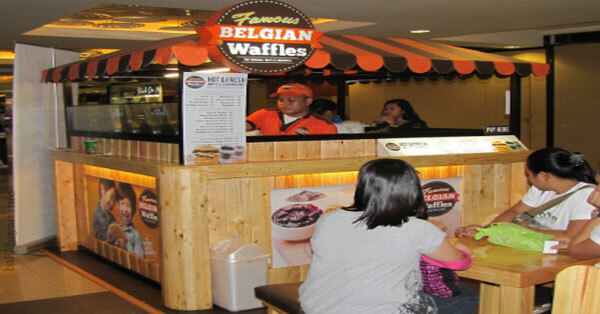 The Famous Belgian Waffles is owned and ran by Innovention Food Asia Co. The food cart franchising business started in 2012 and was the first to introduce waffle sandwich that uses premium fillings. The taste buds of the Filipinos were captured by this waffle sandwich. In fact, even the general mass can afford to buy this delectable snack for Php35. A customer can buy the premium flavored waffle at Php55. Today, more than 120 branches of the Famous Belgian Waffles are present throughout the country. 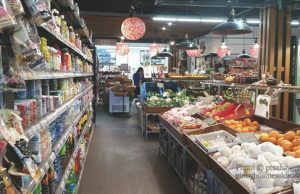 Even supermalls like SM have grabbed the opportunity to franchise food cart because they know that it would be a big hit in the food cart industry. How much is the Famous Belgian Waffles franchise fee? If you’re planning to invest for Famous Belgian Waffles food cart, you should prepare about Php380, 000 franchise fee that covers three years. You can choose either food cart, sandwich kiosk, or counter design. There’s an additional 3% charge for the advertising and marketing fee. The franchise contract is renewable every three years for Php50, 000 renewal fee. Many entrepreneurs were attracted to apply for the Famous Belgian Waffles franchise. It’s because this franchise can cater almost anyone and can be serve any time of the day.